Two vague shapes were coming toward Jacob Cooper, floating and drifting through the ruins like wisps of smoke. Dr. Cooper jumped up, "Jay Lila Are you there? Can you hear me?" 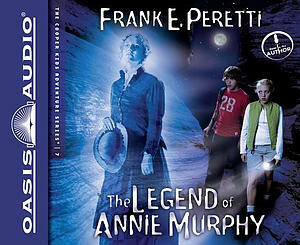 The Legend of Annie Murphy by Peretti, Frank was published by Oasis Audio in July 2014. The ISBN for The Legend of Annie Murphy is 9781613755723. Be the first to review The Legend of Annie Murphy! Got a question? No problem! Just click here to ask us about The Legend of Annie Murphy.